The addition of this strong, third color transforms a strong color statement into something fun and exciting. If you Google, ’The Rule of Three’, you will discover pages and pages of articles and examples of how effective this grouping is in terms of writing, exposition, and photography (to name three) for our ability to absorb, relate and process information. There is something about three things put together that stimulates our brain like no other number combination. The same can be said about paint colors. 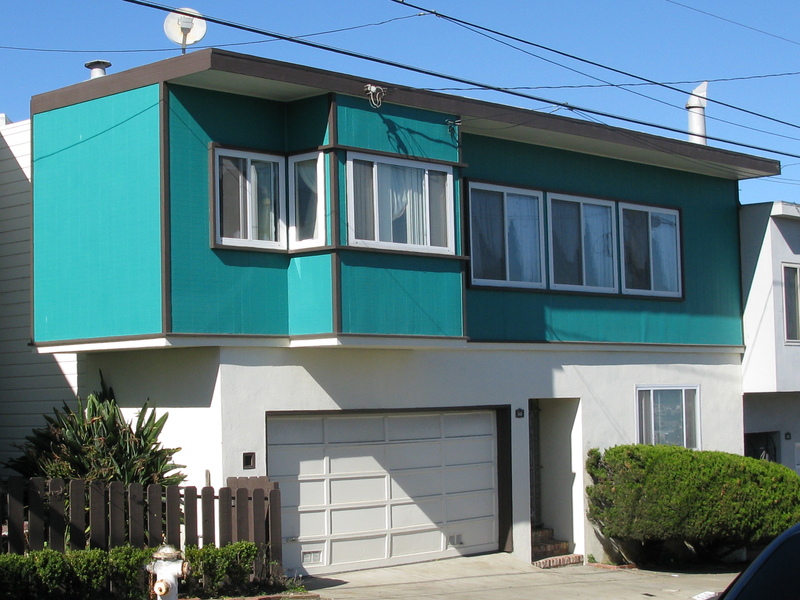 If you look at enough houses, you will discover, as I have, that when three complementary or contrasting colors are employed, the overall appearance of the home is significantly improved. Imagine yourself, for example, getting dressed to go somewhere and you want to look nice. Let’s say you decide to wear you favorite pair of black pants, a rich, blue silk blouse, black heels, and a black jacket. You look at yourself in the mirror. You look great but a little flat; something’s missing. So, you go to your jewelry box and take out a silver necklace and a pair of silver earrings, or maybe you prefer to wrap a brown leather belt around your middle. Now look in the mirror, big difference. Those small accents turn a nice outfit into something special; something that makes a small statement that says, “I know what looks good.” It conveys a message of confidence, that you know you can play it safe with two but you’re going the extra distance with three! 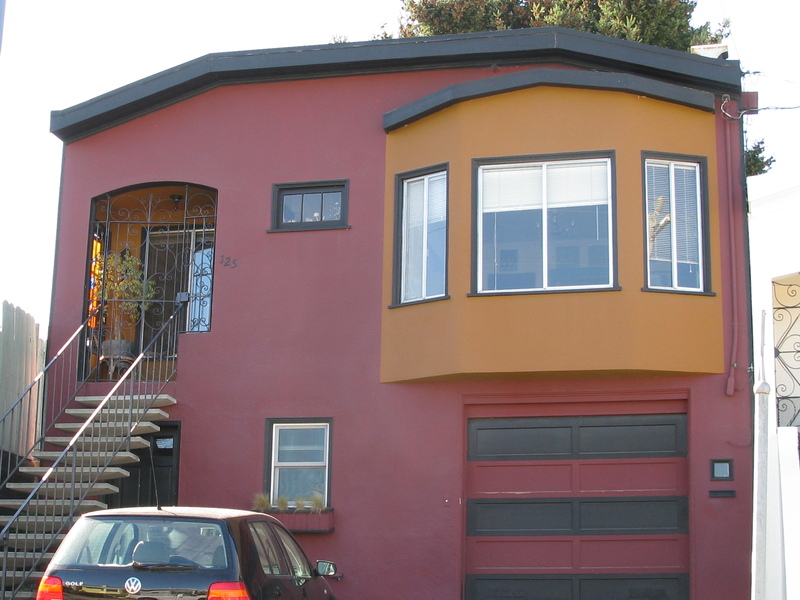 A noticeable color choice that sets this house apart from all the rest. Like a simple gold chain, a third accent color on a house doesn’t have to hit us over the head. It can be a subtle stroke of black that outlines a window; a dash of red beneath the eaves, or a dark green riser on brown steps. The idea is that with a small change in thinking, knowledge of the power of three, and a willingness to take a step in a new direction, you can make a strong, architectural statement about how you feel about your house. This entry was posted in Uncategorized and tagged color, house, paint. Bookmark the permalink.